It’s no secret that a few days off and away from work, in a different environment can regenerate the mind and this is exactly how we feel after we return from the holidays. Hit the ground running in the New Year! If you’re looking for a way to rejuvenate or get an energy boost during the year, attending a sales conference can help do just that! Fast forward a few months, your workload has tripled, your creative side dampened and that motivation and energy you thrived on back in January is long gone! In a world that is always on, we’re unable to switch off due to the accessibility that mobile devices now offer. It’s becoming more and more difficult to separate work and home life or at least strike a healthy balance. I’ve compiled a list of the top conferences for you to consider checking out below. I’ve also put together a checklist to keep in mind the next time you attend a conference. Know your 30-second elevator pitch. Do your research prior to attending an event, this is especially useful if there are 100’s of talks. Pick the ones most relevant to you. Reach out to those you wish to connect with via email and try to arrange a quick coffee before/after the conference. Try and meet every speaker you listen to. Try and meet conference organizers – may be useful for future events. Follow speakers you’re interested in on Social Media. Make notes during/after the event. Follow up after an event! If you don’t, you’ll never build any relationships and you won’t gain value from the conference. Set goals after the event. Now that you’ve your checklist in order it’s time to decide on a conference. 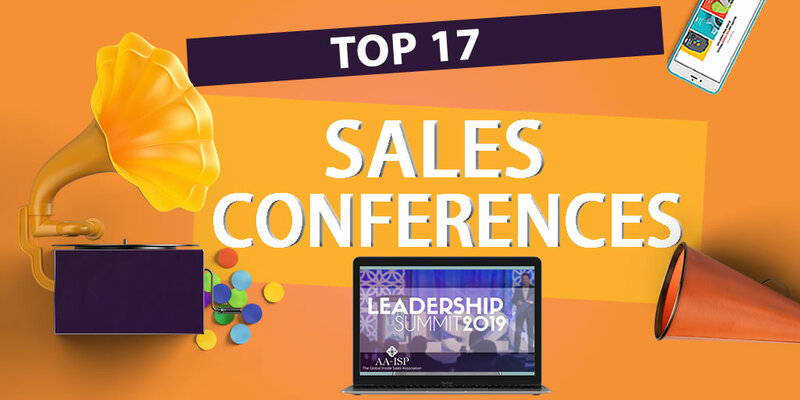 I have put together a list of top sales conferences taking place in 2019 which all salespeople should consider attending. Remember if you really can’t go in person, attending online is better than not attending at all! Do you want to increase growth in 2019? 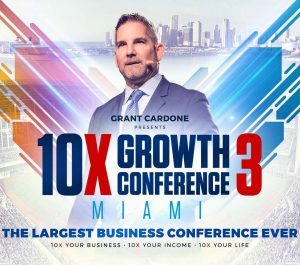 Then this is the conference for you, learn from the best and most successful entrepreneurs that will guarantee you 10x Growth in 2019. 10Xing means giving ten times more energy, effort, time and money than you or others think is appropriate to achieve your goal and success. Day 1 will see Grant Cardone, Sales Expert and other leaders who achieved billions in sales discuss how it’s done. If it’s Marketing you need help with, stay tuned on Day 2 and finally Day 3 brings discussions on 10x your life, your income and your life. The largest gathering in the world for B2B software. If you’re looking for ideas to scale and grow faster then this three-day event will provide you with expert advice from the top SaaS leaders. Check out the full agenda here. Check this out if you’d prefer something a little different than a conference. This leadership retreat is perfect for individuals who have a sales leadership responsibility. You’ll have the opportunity to network and learn from a select group of 50 leaders in a fun and relaxing learning environment. Retreat special guest is Jason Treu, Executive Coach will be discussing building the highest performing teams & how to apply it with customers to build extraordinary relationships. Unleash your inner sales guru! A sales engagement conference on an island packed with forward-thinking sales professionals what’s not to like? With inspirational speakers and content geared toward Sales Executives, Sales Managers, Sales Reps and Marketers. Register before January 7th for early bird tickets or if the whole sales team is going along you can get a ticket free when you buy 3! 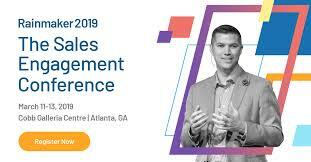 Head to Atlanta if you want to learn all you need to know about Sales. 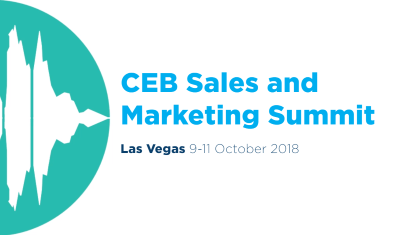 A great lineup of speakers; Mary Shea, Principal Analyst of Forrester will dive deep into the dynamic between buyers and sellers with tips on how to best set your sales team up for success or listen to Elizabeth Cain of OpenView who will take the topic of technology and how sales reps should use it to benefit them. In its eighth year, the Sandler Sales and Leadership Summit returns bigger and better. A conference focused on collaboration and best practices for Sales and Leadership. There will be sessions on Management, Sales and more. Hear from the man himself David Mattson, CEO and President of Sandler Training. A must for Sales Directors and Managers, you will hear from top sales professionals and experts in the field from the best-known companies worldwide; Gavin Ingham, Motivational Speaker and Coach, Sharen Murnaghan, Global Sales, Hubspot, Dave Beard, SAGE and Anthony Leaper, Senior Vice President, SAP. With an extensive exhibitor list lined up, it’s an ideal place to find out about the latest technologies and learn how they can improve your sales performance. Oh, and did I mention it’s free! Grab your tickets here. Three conferences, in three different states, there is sure to be one to suit you. 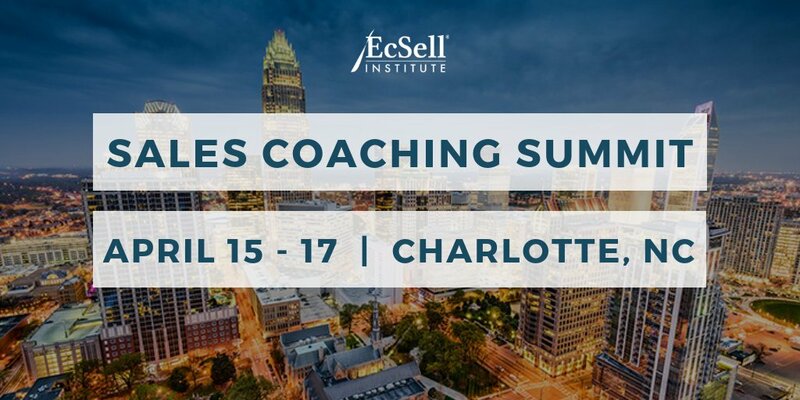 These conferences offer sales leaders best practices that drive improved sales performance and revenue growth. It’s a great opportunity to gain new perspectives and learn from industry -leading speakers. Did you know sales leaders who spend only 2 hours of coaching per month per rep achieve 90% of their sales goal? If you would like to achieve sales goals like this, get an understanding of how top performers become top performers and learn new skills on sales coaching then I’d recommend signing up for this Sales Coaching Summit. 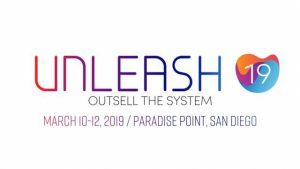 The Inside Sales Leadership event of 2019! Not only will you be in a room with over 1,000 sales leaders but you’ll also get the opportunity to be a part of small group sessions. This event caters for the challenges that may arise in many different roles; Front Line Sales Managers, Marketing, Customer Success, HR and more. With over 60 sessions and workshops, you’ll get the inside track on the best practices that companies like Google, LinkedIn and Twilio use to achieve scalable revenue growth. Join over 2000+ sales and marketing people to network, learn and gain knowledge from revenue leaders that will help grow your business. This year SiriusDecisions takes the summit to Austin. 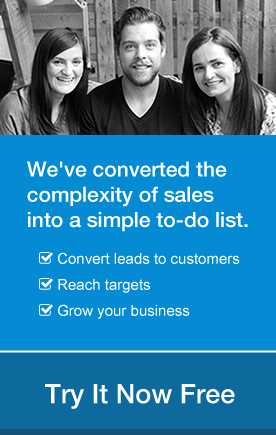 A conference dedicated to discussions around B2B sales and marketing best practices. Along with sessions on specific topics, you will hear presentations on real-life situations through customer case studies. If you’d prefer hands on learning then this 1-day event is for you. From real-life case studies, emerging trends and the must have technology to help improve your sales. It will bring together reps and leaders from both inside and field based sales teams to learn, share and network. London’s first Inside sales focused conference is one to attend! If your role is customer facing than this Customer Success event is a must for your 2019 diary. 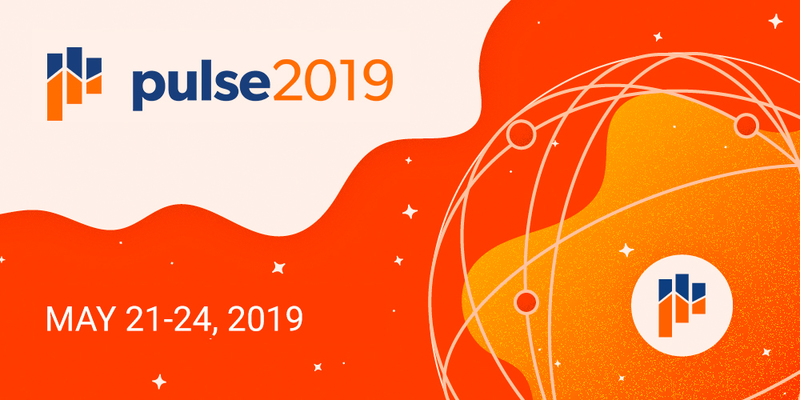 It’s marketed as the biggest event in customer success! It will open your eyes to the best practices in Customer Success and hands-on workshops so you can go away with tips to apply in your own business. Attendees will benefit from talks and success stories from top experts in this area. See the full list of speakers here. INBOUND pulls it out of the bag with their inspiring keynote speakers. Not only will you be inspired but you will come away with actionable tactics and strategies to help your team increase growth. It’s the perfect environment to expand on your ideas and review any challenges from a different perspective. This is the best place to let the mind wander! Online is where your customers are so you should be too! 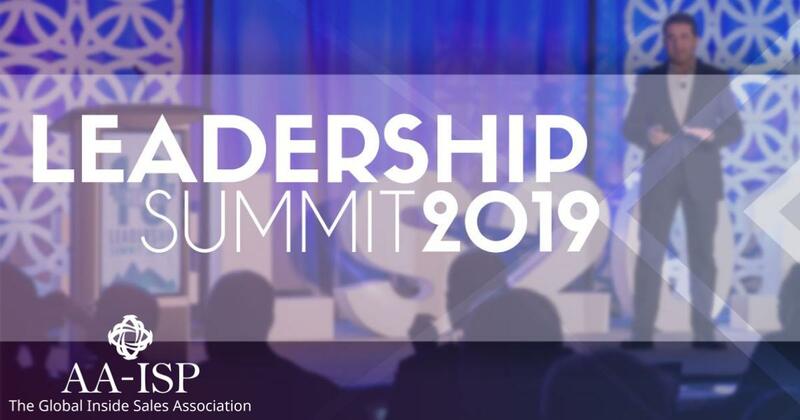 According to past attendees, this summit will leave you motivated, refreshed and give you actionable insights so you can become more proactive and help set you up for success. If you’re in the home industry and work in online sales or marketing check this out. This event opens the floor to sales and marketing individuals, giving you opportunities to share your challenges, ideas and learn from Industry leaders. Set yourself up to four days of action packed networking and learning. Don’t forget The Sales Development Conference 2019 August 23rd, 2019! 3rd Annual in SF, 500 people expected. Props to all the SDR Leadership, Reps and Ops people out there making it happen. Thanks for getting in touch and informing us of the Sales Development Conference. We’ll be sure to keep this in mind for next years blog. All the best with it, we’ll tune in online in August.